In honor of National Veterinary Technician Week, we wanted to take the opportunity to get to know a local Veterinary Technician and answer a few questions that we all had. Erica graduated from Wilson College with a Bachelor of Science degree in Veterinary Medical Technology, and has been happily employed with Veterinary Medical Center of Lebanon, Inc. since November of 2003. What is the difference between a vet and a vet tech? The difference between a vet and a vet tech is that a vet goes to school for longer than a vet tech and a vet can diagnose, prescribe medications, and perform surgery, which a vet tech cannot do. What was schooling like? What can others expect if they want to become a vet tech? When I went to school I had to take a 4 year program to be able to take the boards to become a certified vet tech. Now there are a lot more programs available where you can go to school for a lot less time and still be able to take the test to become certified. I went to Wilson College, which did offer a lot of hands on learning. I would definitely recommend a program that offers a lot of hands on experiences because a book can only teach you so much. Why did you want to become a vet tech? Besides that you love animals? I’ve always had an interest in medicine and was always drawn to animal medicine. 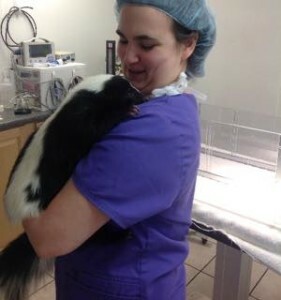 At first I thought about being a veterinarian but then found that a vet tech seemed to be more hands on with the animals. What is one piece of advice that you would like to offer others who may be looking to become a vet tech? I would recommend shadowing at a vet clinic to see what exactly vet tech’s do. Tell me about any training you’ve had in a clinic? In the clinic that I work at I’ve been trained to work the front desk, assist the vet with exams, assist with anesthesia and monitoring during surgery, and perform doctor assigned treatments on hospitalized patients. Every clinic is different, so not all clinics may have their technicians do as much. Tell me about the animals you cared for and rose in your life? Growing up, my family had dogs. We had a husky mix, then a german shepherd than a shepherd mix. Now I currently have 3 cats, 2 of which I rescued. What if a client comes in to euthanize a perfectly healthy animal? This question is a hard one. We typically won’t euthanize a healthy animal. Of course there can be exceptions such as if an animal has gotten severely aggressive and all resolutions have been exhausted (medication, working with a behaviorist, possibly re-homing if the issue is just aggression with other pets, etc.) then euthanasia may become an option but we really don’t want it to come to that if at all possible. Have you had any terrifying experiences with animals? Yes, in the past I have been bitten severely enough to need stitches. Out of your vet tech experience, what do you enjoy the most? I think I enjoy the fact that every day is different. You never know what exactly you’re going to get each day so it never gets boring. Tell us about a particular animal’s case that stuck with you? It’s hard to pick one, I would have to say it would have to be a C-section case where the dog had been in labor for hours and we weren’t sure if any of the puppies were still alive but we were able to save mom and all the pups. That was a really awesome feeling when all the pups were nursing off of mom and everyone was okay. Thank you Erica for taking the time to answer all of our questions. If you would like to know more, feel free to reach out. 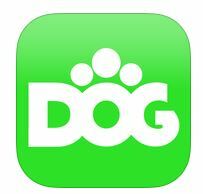 In honor of National Walk Your Dog Week we have put together a list of 5 free apps to help keep you and your pup on a walking schedule. Calorie tracking can also help with your personal fitness goals. 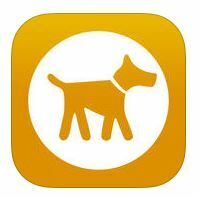 Dog Walk – Track Your Dog’s Walks! 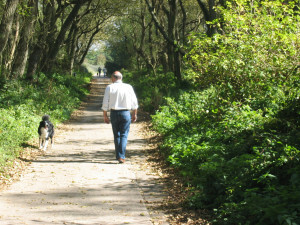 Walking your dog regularly is great for your dog and you! Regular walks can help you get in shape or stay fit check out this blog post, Walking the Dog – How Exercising with Your Pets Can Motivate You to Stay Fit, for some tips on getting started. 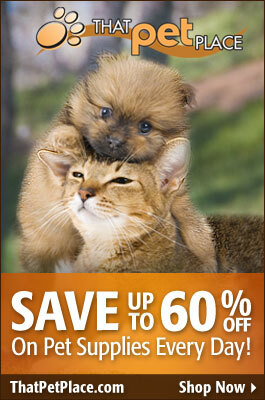 Just like us our pets can pack on a few extra pounds over the cold months. Here are some tips to help keep your dogs active as the temperatures drop. Hide some of your dogs favorite treats around the house and put his natural instincts to work sniffing them out. 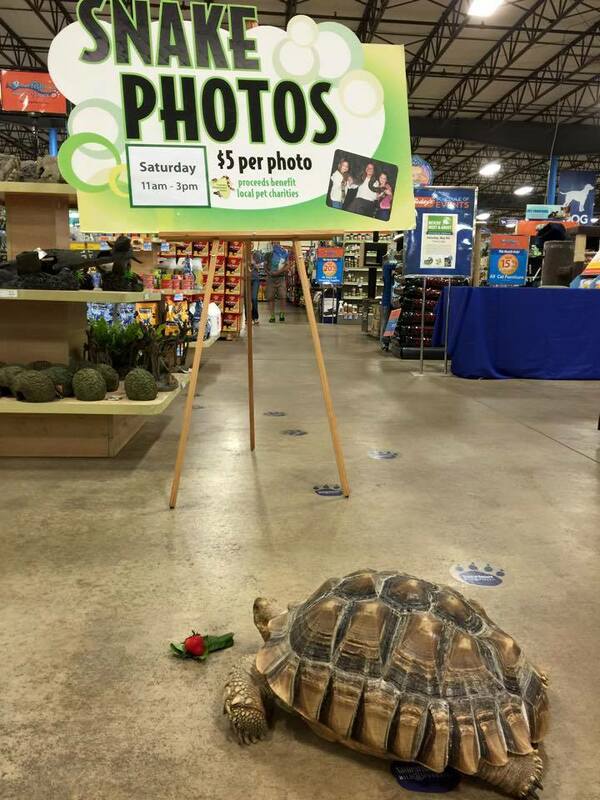 Visit your local pet store for some socialization and a long walk through the aisles. Most human treadmills can be utilized for K-9 family members too. Make sure to take time to train you dog safely to use a treadmill, and never leash your pet to the treadmill. Play fetch with an indoor safe toy like the Chuck-It indoor roller. Add a little extra to the work out by throwing the ball up the steps! Make meal time more fun and stimulating with some interactive puzzle toys! Create an indoor agility course for your pup out of things around your house. 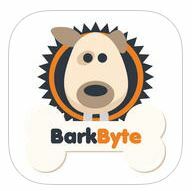 Have a play date with one of your dogs 4legged buddies. 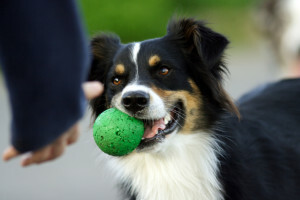 Rotate your dogs toys so he stays interested and doesn’t get bored. We rarely see natural disasters in the state of Pennsylvania, so when they hit it often sends people into a state of panic. Like troops, we assemble at the grocery store at the sheer mention of snow. During flooding we evacuate after moving our most valued positions to the second floor. The outcome is never certain, but one thing that is certain; in a state of panic our pets can be forgotten. How do we keep our pets safe and prepared during these stressful times? It is best to be prepared for these various situations, and it is a lot easier than most people may think. Start by getting your pet microchipped. Microchipping is one of the easiest ways to identify your pet in case it should be separated from you. Collars with ID tags are great, but pets can get out of a collar. Microchipping can be done at veterinary offices, pet supply stores (when a clinic is held), and some local shelters. In the event that you have your pet microchipped, make sure that the information is current! If you move, change your name, change your phone number, or change ownership update the microchip. Some people may do this service at no charge or a small fee, but you can easily do it online at no cost to you. Most microchips do not cost very much ($15-$20), so it is a small price to pay in order to protect your pet. Learn more about the importance of microchipping here. Be sure to keep vaccines current too. Pets may roam for a while before they are discovered by a passerby, or show up in a public location. During this time, your pet is at the mercy of the wilderness. Your pet could be exposed to wildlife, various food and water sources, and a wide range of viruses. Stress also creates a weakened immune system. While having your pets up to date on vaccinations is not a guarantee of their safety, it is extremely beneficial to their survival. Emergencies can happen at any given time, so it’s best to be also prepared for these given situations. Come up with an evacuation plan, and have drills with your family and pets. 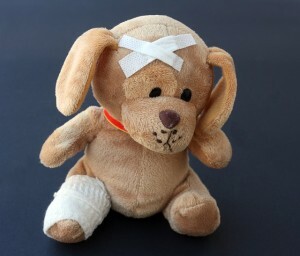 In case of injury, or loss of shelter, purchase a ready-made first aid kit or make one on your own. Be sure to place the kit in an accessible area. If you would like to make your own kit, here is a list of materials that you will need. Some of these items may expire over time, so be sure to check your first aid kit often so that items can be replaced or replenished. While this kit serves as an emergency kit, it can also be used while traveling. Be sure to get your pet proper medical attention as soon as you are able to. Remember that our pets will feed off of our energy. If we are calm, our pet will be calm. 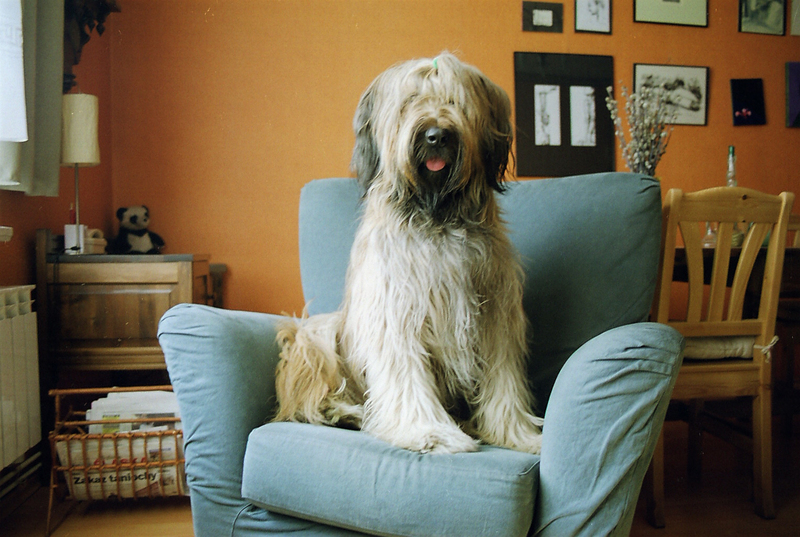 In the event that your pet appears to be anxious, be sure to give them their space. Scolding your pet at this time will not benefit either party. No one wants to be involved in a disaster of any kind, but they do happen. 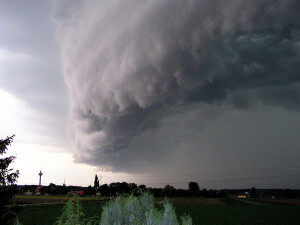 It is best to be prepared, remain calm, and ensure the safety of yourself and all of your loved ones. A lot of us are always looking for that little extra that we can do to make the world a better place. For animal lovers, the choice to volunteer at a local rescue may be easy. Some may need a little extra encouragement. Most animal rescues and organizations are non-profits. Since they are non-profits, these organizations relay strictly on those willing to volunteer their time. • Feeding – Feeding animals per their feeding schedule, adhering to any special needs diets. • Grooming – Bathing and brushing animals as needed. 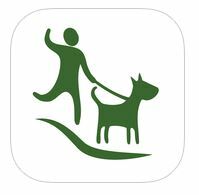 • Walking – Walking animals daily per the rescues schedule. • Cleaning – General upkeep of the facility, kennel areas, litter pans, procedure rooms, etc. • One on one/playtime – Socializing with the animals, handling animals, exposing animals to various social situations. • Administering medications – Redressing wounds, administering medications as prescribed. • Fostering – Temporarily house an animal available for adoption in your own home. • Event posting Sites – Rescues will utilize other free event posting sites, especially larger scale events. • Facebook pages – Information regarding a rescues needs and ways to donate can be typically found under the “about” tab. • Amazon Smile – Amazon donates 0.5% of the price of your eligible Amazon Smile purchases to the charitable organization of your choice. You can search for an organization of your choice, and as long as they participate in the program, your purchases will continue to help their organization. • Donation Bins – Collection bins that are placed at related retail locations. • Wish list/Gift Exchange – General list of day to day materials needed at the facility. Ask for donatable gifts for birthdays, weddings, anniversary’s and give them to your local rescue. We at That Fish Place – That Pet Place work hard to do our part for homeless animals by regularly hosting meet and greets in conjunction with local animal welfare organizations. You can stay informed about our upcoming events by going to our Facebook page, our website, Google +, Eventful, and Susquehanna Life! There are a lot of local rescues that are in need of volunteers, donations, and fosters. They cannot succeed without your help. Here are just a handful of some of the local rescues that you can support. There’s nothing worse than losing a loved one. Let alone a loved one who doesn’t have a cell phone or really any clue on how to find their way back to the family they love. Unfortunately, that’s the reality you’re facing ever time your 4-legged friend hits the ground running outside. If you were to step back and ask the question – what can I do to offer the best chance that my pet finds his way back home in an emergency – and sure, not spend a ton of money in the process – your answer would be microchipping. So – without further delay – let’s look at 5 Reasons why you should have already microchipped your four-legged friend. You can’t really say that about anything else! Microchips are permanently embedded in your pet’s skin and made to last 25 years. That’s longer than any collar or tag, and it’s not about to fall off when your little escape artist crawls under that chain-link fence. The American Humane Association estimates over 10 million dogs and cats are lost or stolen every year – make sure you and your loved ones are prepared. Your pet is used to vaccinations – and microchipping feels similar. Your veterinarian will simply use a needle to insert a small, grain-sized chip between your pet’s shoulder blades. A shot for a lifetime of security is a fair tradeoff. The American Veterinary Medical Association conducted a survey that said stray dogs at shelters WITHOUT a microchip were returned to their owners 21.9% of the time. 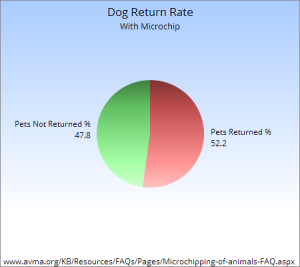 That number increased to 52.2% when the dog was microchipped. To put that another way – it went from a 1 in 5 chance to greater than a 1 in 2. Similarly, cats without microchips were only returned 1.8% of the time, while cats WITH microchips were returned an amazing 38.5% of the time. Again, a 1 out of 50 chance changed to a 1 in 3. Microchipping has been so successful, that both England and Scotland have recently made it mandatory. Compared to the other costs associated with owning a dog a microchip is barely an expense at all. In fact, many animal rescues, clinics, pet stores and veterinarians offer low-cost microchipping services all of the time. Not to put a cost on a lifetime of security and peace of mind, but you’re really only looking at $10 to $40 dollars per animal. In addition, though you should check the chip from time-to-time, they do not require batteries and have a lifespan of 25 years. This means there’s little to no upkeep cost. Awesome! 5. There’s No Better Feeling Than The Love Of An Animal! As if you needed any more encouragement – here are a few amazing videos of pets being returned to their owners because of microchipping. Warning – you may want to have tissues handy! It’s hard to believe that summertime is practically over already and school will soon be back in session! For all of you teachers out there, a classroom pet can be a great way to add interest and variety to your lesson plans. 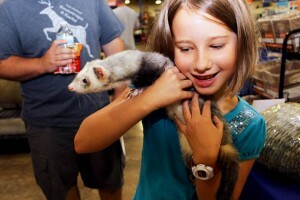 Besides keeping the kids entertained and engaged, classroom pets can help to teach responsibility and appropriate pet care techniques. But before we get to the fun part, there are a few important details to examine. First and foremost, build yourself a budget! Find out if your school is willing to cover any of the expenses and if not, decide how much you are willing to spend yourself. Make sure you will be able to afford the upfront cost of setting up your classroom pet along with upkeep costs like food, bedding, and possible vet visits. You could also apply for an educational grant from Pets in the Classroom, a nonprofit organization that helps teachers with limited funding. Next, find out if any of your students have pet related allergies or have a compromised immune system. Allergic reactions to specific animals, bedding, and even their food can be fairly common. By finding out this information before choosing a pet, you can save yourself the hassle of dealing with an unwanted situation later. If your school doesn’t already have guidelines setup for classroom pets, here is a sample school pet policy that may be a helpful resource. While many “best classroom pets” lists are based around your typical cute & fluffy animals, that may not always be the best way to go. Taking into consideration overall costs, time available for maintenance, and how your students will interact with their classroom pet should be the most important decision makers. The following pets have been chosen based on being low maintenance, easily handleable or strictly hands off, and their overall cost. If you’re looking for a great short-term pet with lots of learning potential, praying mantises are the best way to go! The most common type of mantis kept in classrooms is the Chinese Mantis (Tenodera sinensis). These mantids have a life cycle that lasts about 8 to 12 months from egg to adult, which students can witness in its entirety if your timing is just right. You can usually purchase an ootheca (egg case) from many scientific or educational suppliers between Janurary and June. If you’re lucky enough to live where mantids are in abundance outside, you may even be able to find an unhatched ootheca attached to the branches of a tree or other outdoor plant. Place the egg case in a vented plastic container and keep it in the fridge, this will keep the eggs dormant until you are ready for them to hatch. Mantids can be very low cost pets, depending on how you wish to keep them. Plastic deli cups and/ or plastic terrariums are usually the best housing options. Their food will consist of live flies or other feeder insects of various sizes. The only other supplies you need are a spray bottle for drinking water/ humidity, and maybe some feeding tongs too. Mantis care is very simple, just daily feeding and misting with weekly cleaning is really all you need. 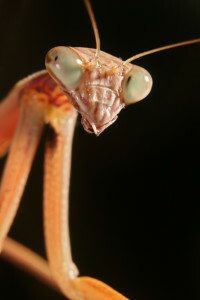 For more detailed care information, check out the extensive Chinese mantis care guide from mantidforum.net. Eww, gross! Right? Well, if you can look past the ick factor, these guys can make amazing classroom pets. 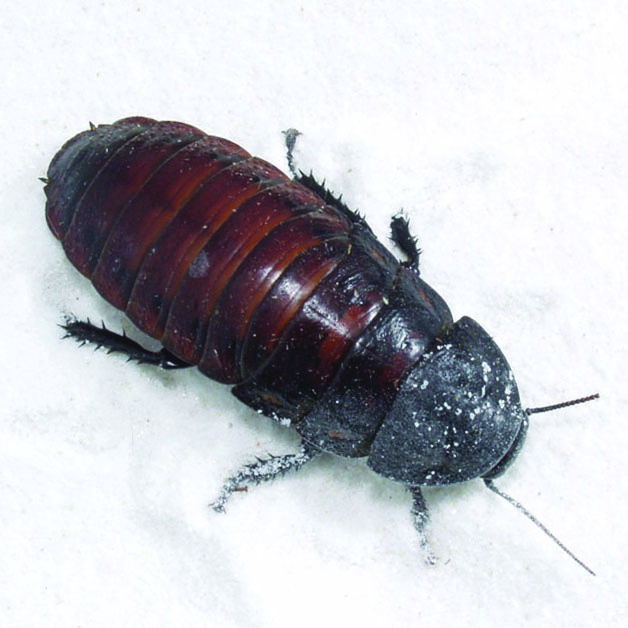 The Madagascar hissing cockroach (Gromphadorhina portentosa) is one of the largest species of cockroach and can live about 2 to 5 years. They are very hardy insects that can thrive with minimal care and withstand moderately rough handling without fear of injury. Keep in mind though, that your school may be less than enthusiastic about the idea of roaches breeding in your classroom (even though hissers breed quite slowly, and are not a pest species. Only about 1% of all roach species are). You can avoid this issue completely by purchasing only male hissers. Males are very easily identified by the distinct “horns” that grow on their protonum (the plate like structure on the thorax). Correctly identifying males can be difficult with younger insects, so choose at least half grown individuals if you’re picking them out yourself. Hissing cockroaches are omnivores and will eat a variety of different foods. Fruits, vegetables, and pelleted foods (like turtle, dog, or cat food) are all good options. Housing for your hissers can be as simple as a 10 gallon aquarium with a secure lid. For an added security measure against any escapees, you can apply a 2 inch tall layer of petrolium jelly around the inside of the tank, just below the top. This keeps the roaches’ feet from sticking to the glass and stops any escape attempts. Hissing cockroaches are extremely low maintenance. Feed and mist them every other to every 3 days, cleaning out old spoiled food when necessary. This along with a monthly thorough tank cleanup is more than enough to keep your hissers clean & happy. Read more on hissing cockroach care here. As far as fish go, bettas are by far the easiest to care for. Also known as Siamese Fighting Fish, bettas (Betta splendens) are tropical fish that are originally from Southeast Asia. They may not be the most exciting of classroom pet options, but they can be one of the most cost effective ones. 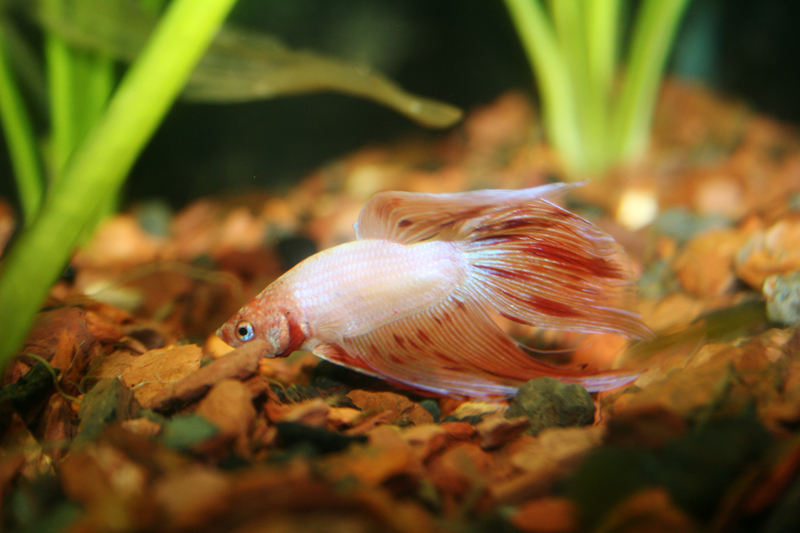 If a betta’s habitat is maintained regularly with partial water changes, there is no need for filtration. On the other hand, setting up a tank with filtration and plants can be more rewarding and interesting for students to care for. Whichever way you decide on, you should ideally use a habitat that is at least 3 gallons or more. Besides the fact that your fish will have more space to swim in, more water means less fluctuation in water quality when performing routine maintenance. This will help prevent any stress related illnesses, and keep your fish healthy. For their bare minimum requirements, you need an appropriately sized enclosure, gravel or sand for their substrate, a few plastic plants or other decorations, pellet or flake food, and a water conditioner to remove chlorine and other heavy metals in tap water. You can read our betta care guide for more in depth detail on betta care, and our aquarium setup beginners guide for setting up a tank with filtration. Here’s another great classroom pet that is largely misunderstood. Contrary to some popular belief, corn snakes (Pantherophis guttatus) can be very docile and easily handled without biting once accustomed to regular human interaction. In most cases, snakes will only bite out of fear or if you smell like their food. That being said, choosing a baby corn snake may not be the best option unless you plan on fully taming it before allowing any direct interaction with your students. When young, they can be more jumpy and apt to defending themselves if they feel threatened. 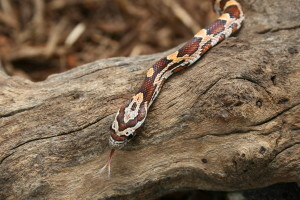 The bite from a baby corn snake is often barely noticible, but a frightening experience may cause some children to be overly wary or frightened of snakes indefinitely. Ideally, snakes should only be handled at least 24 hours or more before or after being fed. This greatly reduces the liklihood of them regurgitating a meal and undergoing unnecessary stress. A snake may regurgitate a meal from time to time for various reasons. If this happens, just give them a week off from eating to allow their stomach to “settle down” and recover.On the other side of things, don’t allow a snake to be handled if you know they are overly hungry. Accidental bites are more likely when an animal is excited about eating and just grabs for the first thing they see. Corn snakes may cost a little more than any of the previous animals listed, but once they have been set up are reletively inexpensive to care for. One approprietly size meal every week to two weeks (depending on the snake’s size and age) is more than enough to keep them happy. Most snakes can be conditioned to eat frozen-thawed already dead prey items, which for most people helps with the “ick factor” of feeding. With weekly or bi-weekly feedings, snakes tend to only go to the bathroom once every week or so as well. Spot cleaning their cage weekly and a thorough cleaning monthly is really all they need. Take a look at our corn snake care guide for more detailed housing and care tips. 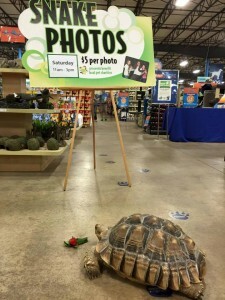 Last but certainly not least is a very popular reptile pet. Bearded dragons (Pogona vitticeps) are one of the most personable lizards you could have. From a young age they tend to be very active and inquisitive, never missing what’s going in and outside of their habitat. These lizards do well with gentle supervised handling when small, and become incresingly calm and “durable” as they grow. That being said, they are the most expensive to initially set up. 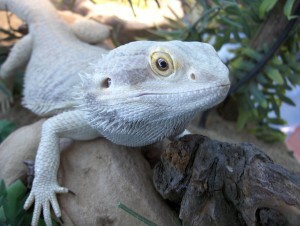 Like most pet lizards, bearded dragons need both heat and ultraviolet lighting to keep them healthy. They require UV rays to produce vitamin D3 and properly use the calcium in their diet, the same way humans do. Their lighting and temperature needs change from day to night, so using a light timer is ideal in a classroom setting. With their lights programmed to turn on and off automatically, there’s no need to worry about them over a weekend or short holiday. After the initial cost of setting up a habitat, supplies and food are not overly expensive. Bearded dragons are omnivores, eating both insects and veggies/fruit. When they are still young and growing, insects will be the main portion of their diet with a small amount of leafy greens, veggies, and fruit. As they grow older and reach their adult size, the majority of their diet should be dark leafy greens, veggies and fruit with supplemental insects here and there. Overfeeding with insects when their metabolism has slowed can cause unnecessary weight gain and eventually health problems. Making a well informed decision when choosing your next classroom pet is the most important thing you can do. Hopefully this guide makes your choice a little easier and your next pet venture a successful one! While salmonella is associated most often with reptiles, any animal can carry this harmful bacteria. Salmonella infections are easily avoided by following simple cleaning procedures. Make sure that hands are thoroughly washed after handling any pet or cleaning their enclosure. Additional information on salmonella risks and prevention can be found here. Assistance Dogs: Facts & Resources on These Amazing Animals! It’s no secret that dogs are known as “man’s best friend”. On a daily basis our dogs (cats and other furry & feathered friends, too!) provide us with unconditional love and loyalty thus making a positive impact on our lives. The therapeutic and healing benefits of a canine’s companionship are next to none, simply petting a dog can reduce stress, anxiety and depression. This trait, along with their amazing trainability is what makes them so successful at being assistance dogs and aiding those with disabilities. With the help of hardworking and devoted assistance dogs, individuals with physical, emotional and mental disabilities are able to experience an enhanced quality of life. While formal training standards for guide dogs have been established for over 70 years, the use of assistance dogs alongside individuals with physical and mental disabilities is a more modern concept. Nevertheless, hardworking assistance dogs of all types significantly impact their partners’ lives in many ways every single day. Guide Dogs: For individuals who are blind or visually impaired. 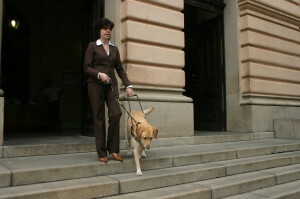 In public, a guide dog can be identified by a harness and U-shaped handle which promotes communication between the assistance dog and their partner. In this team, the human’s role is to provide verbal commands, while the dog ensures their partner’s safety by avoiding obstacles, signaling changes in elevation, locating objects, negotiating traffic and so on. Hearing Dogs: For individuals who are deaf and hard of hearing. Hearing dogs assist by alerting their partners to household sounds, such as doorbells, alarm clocks, smoke alarms, a crying baby and more. They are trained specifically to make physical contact and lead deaf partners to the source of sounds. Service Dogs: Service Dog is a broad term for canines who support partners with disabilities other than those related to vision or hearing. These dogs can be specially trained to handle a multitude of situations related to improving their partner’s well-being. Service dogs can work with wheelchair bound individuals, those with autism and also those with other medical concerns to perform potential lifesaving duties. Service dogs can also aid those seeking emotional support. A veteran may find that an assistance dog has a huge, positive impact on their quality of life by providing them with stability & comfort after returning from overseas. Seizure alert & response- Dogs trained to operate push button device to call 911, etc. Alerting to other medical issues, such as low blood sugar- Dogs trained to fetch insulin kit or respiratory assist device if necessary. Assistance dogs, their trainers, partners and associated programs are held to a high level of standards that are crucial for defining what an assistance dog is. After completing screenings for emotional soundness, physical health and working ability, the dogs must complete labor-intensive training plans which include obedience and task work, such as retrieving, carrying, nose nudge and harness based tasks among many others. Once training is complete, assistance dogs are matched to best suit the needs of their partner and must show they are capable of performing the tasks deemed necessary to alleviate their partner’s disabilities. In turn, assistance dog partners must be able to provide their assistance dog with a secure living environment as well as take responsibility for the dog’s emotional, physical and financial needs. 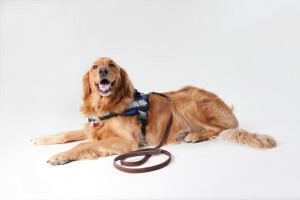 While many service dog programs use Golden retrievers and Labradors, there are many other examples of breeds that have been successfully trained in aiding individuals with disabilities. The partner and their type of disabilities is a large deciding factor in what type of dog they will be matched with. Breed, size, shape and color aside, a good service dog is very people oriented, not protective or overly active and is confident, but not dominant or submissive. If you are interested in applying for an assistance dog, training an assistance dog or helping to educate others about these specially trained animals, check out the resources below. 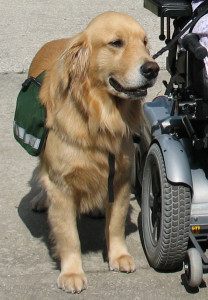 ADI is a coalition of not for profit assistance dog organizations. If you are interested in applying for an assistance dog, you can find resources from Assistance Dogs International to locate programs in your local area. This website is a comprehensive resource about International Assistance Dog Week (August 2nd through the 8th). 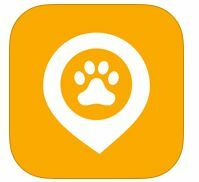 Locate events in your area to help celebrate & raise awareness about assistance dogs. Do you know an organization or individual who could benefit greatly from some therapy dog interaction? 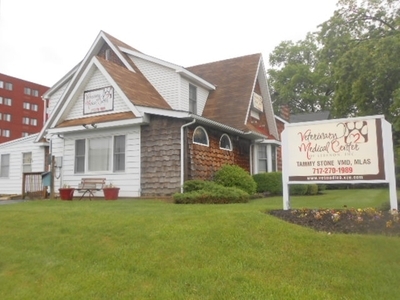 KPETS, out of Lancaster, PA, is a network of therapy teams that provide therapeutic and supportive benefits to those with disabilities through human to animal interactions. These services are provided to organizations and/or individuals in need free of charge. Interested in training an assistance dog? Phoenix Assistance Dogs is a community program created to locate and train puppies to help those in need. 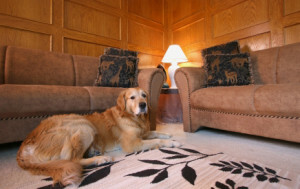 PAD can also help individuals in finding and training their own assistance dog if they wish. If you read our past blog Pet Friendly Destinations in Lancaster, PA you may be wondering where you and your pets can stay while visiting these awesome attractions. 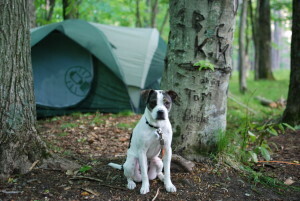 Here are some hotels, motels and campgrounds that will gladly accommodate you and your pets!